Let’s face it: Most of us have to live with roommates post-grad, whether we want to or not. With rent prices on the rise and a distinct lack of real estate in cities like New York and San Francisco, cohabitating becomes an inescapable reality. However, while some view the situation as a necessary evil while itching to finally live alone, having a roommate isn’t all bad. It means you have a built-in support system and social life without ever having to leave your living room—just as long as both you and your roommate agree on some basic parameters. As for exactly what those boundaries are, a recent SpareRoom report provides some insight into what makes the “perfect” roommate: Apparently, 99 percent of respondents value respect above all other qualities. Yes, that means resisting the urge to dip into their nut butter, giving them a heads-up before hosting a Queer Eye viewing night, and being mindful of any shared spaces. The survey goes on to detail 25 other qualities that make for top-notch cohabitation. Some characteristics, like age and neatness (thanks, Marie Kondo) seem pretty expected. Others are a bit quirkier: One in three people found it imperative to be able to share a Netflix subscription with their roomie, while 25 percent would ideally like to live with a wine drinker. A 2017 Zillow report found that more adults than ever are living with roommates. With around 30 percent of Americans on average—50 percent in bustling metropolitan areas—sharing a space with a roommate, it looks like the cohabitation trend is on a serious uptick. If you find yourself in a similar living situation and want to increase your chances of finding a decent roomie, here are some of the more surprising findings from the SpareRoom report that could help you. “Has furniture” weighs in at number 12 on the list of desirable roommate qualities. 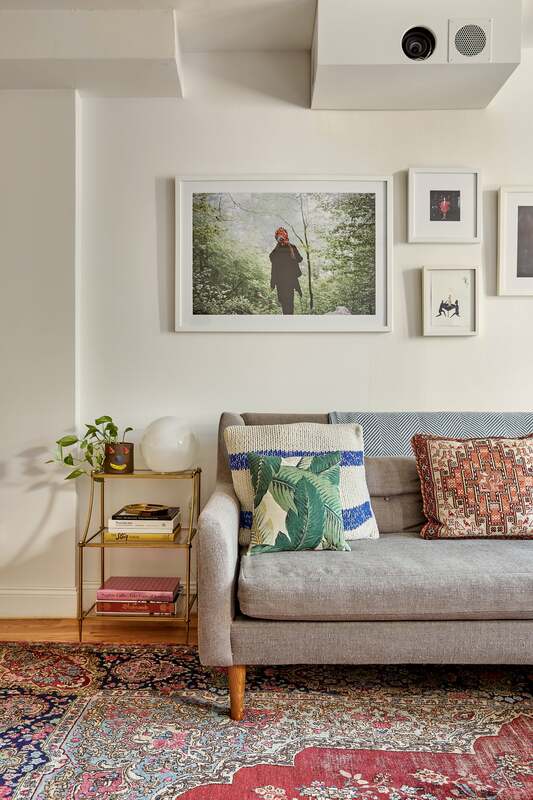 If the rental furniture economy isn’t for you, you might want to consider investing in some basic yet high-quality pieces that’ll last a while and make furnishing your future apartment a cinch. High up on the list of furniture requirements? A sofa. Nothing facilitates roommate bonding quite like a Netflix marathon. Survey respondents also professed an interest in finding a roommate who likes to cook. Hey, all those takeaway dinners add up quickly. With the renaissance of the dinner party and so many cool kitchen startups available to ease the process, taking up a culinary hobby has never been easier. Try your hand at a few easy recipes. Whether it brings you and your roommate closer or not, learning to cook is a life skill you won’t ever regret. Plant therapy is real. Almost nothing creates a homey, cozy vibe more than an influx of greenery; and if you’re a plant parent, having a roommate is particularly useful as you have a back-up to care for your plants when you travel. It’s no wonder that a love for plants was mentioned as a desirable roommate quality.